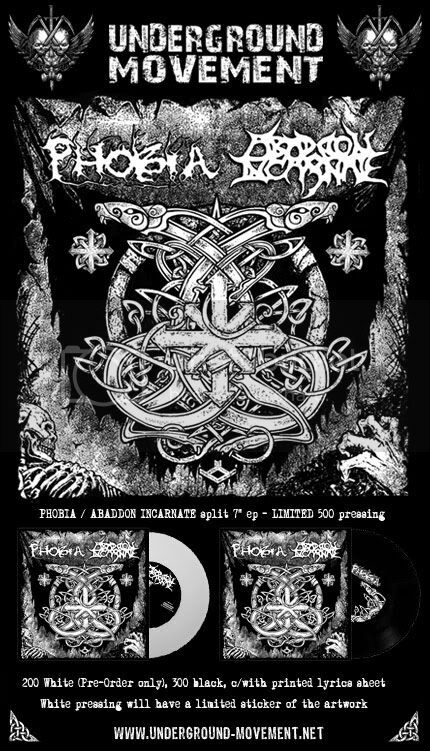 Abaddon Incarnate: Split 7" with Phobia Coming Soon! Split 7" with Phobia Coming Soon! Due to be released very soon. 4 new tracks from US grind legends Phobia and 3 new tracks from ourselves. Check out one of our tracks 'Vermin Apocalypse' above.